Making things for a new baby ranks right up there with that new baby smell. It’s awesome! Now that my baby fever is far behind me, I’m always glad to make baby crafts for other new parents. 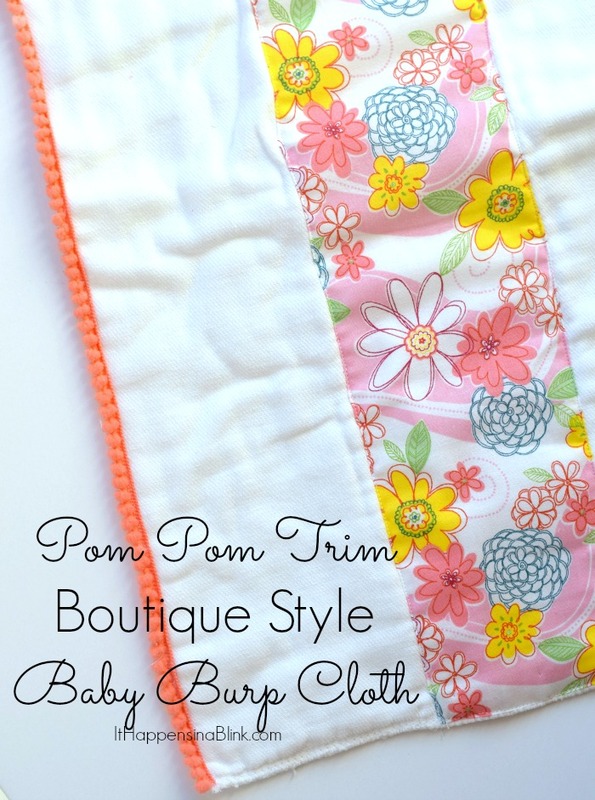 This cute and trendy Pom Pom Trim Boutique Style Burp Cloth is one of my favorite baby items that I have made in a while. I’m sharing this easy tutorial with you today. 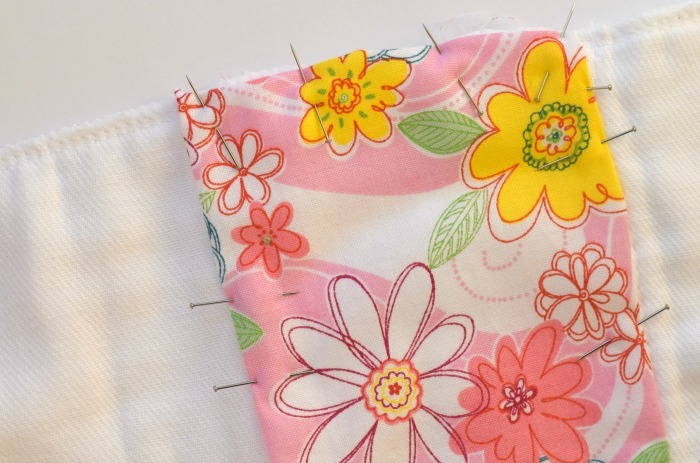 No worries if you are a beginner seamstress or seamster. 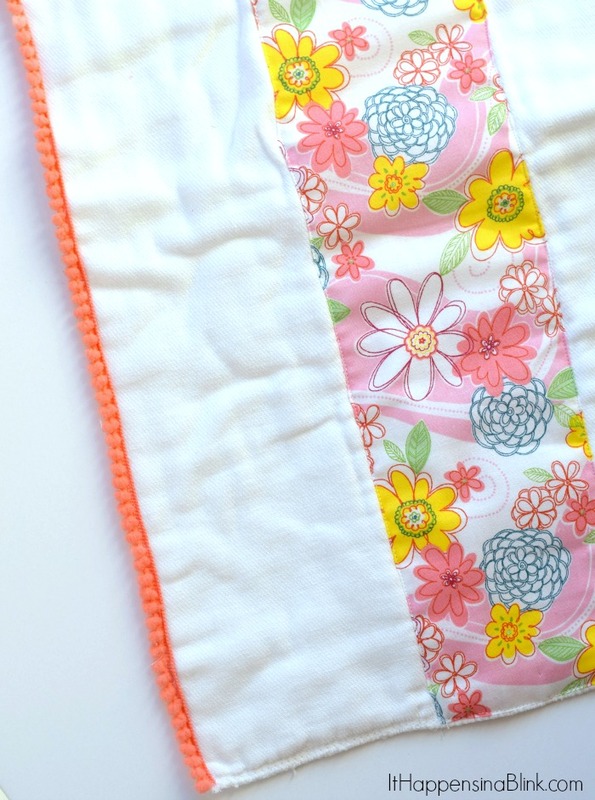 This project is great for sewing novices! Those with advanced sewing skills will be able to whip this up in a matter of thirty minutes or less. You only need one color of pom pom trim. 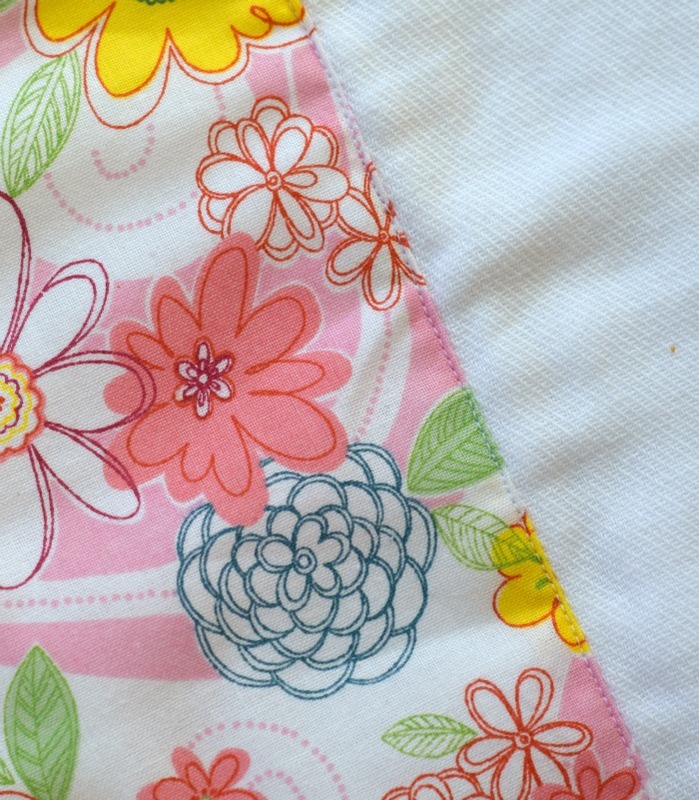 Lay the cotton material in the center of the burp cloth. Fold under the raw edges 1/4 inches. Use the straight pins to secure all the way around. For a polished look, ironing as you fold will help keep the edge folded under and create a crisp edge. Sew close to the folded edge all the way around the material. 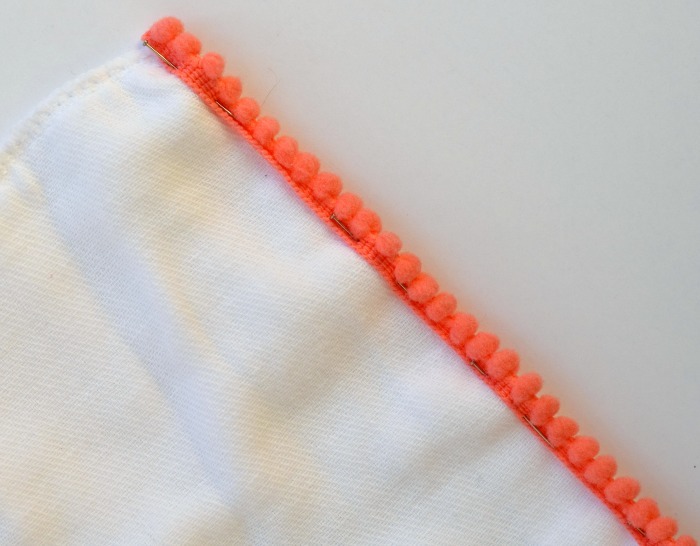 Pin a piece of pom pom trim down the long sides of the cloth. 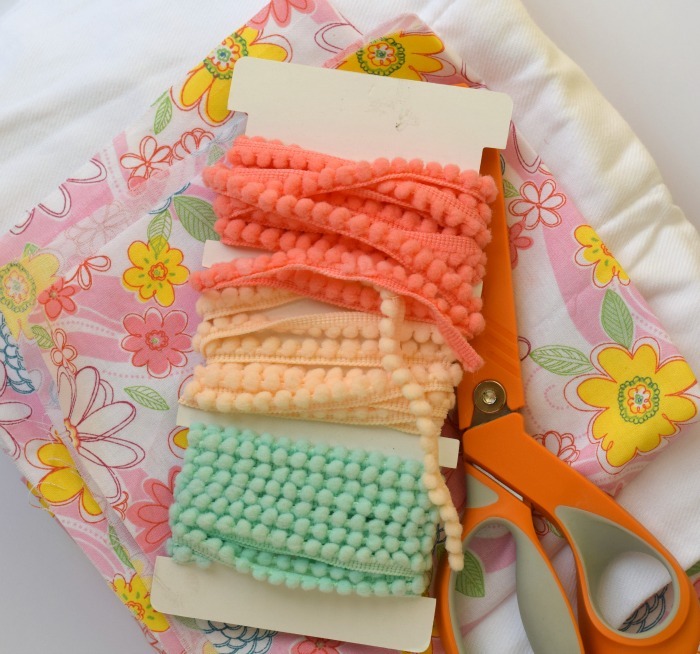 Sew down the pom pom trim on both sides. This is the hardest part of the project. It is not difficult, but it does take concentration to make sure that the presser foot on the sewing machine doesn’t get off track by the pom poms. Isn’t this super cute? You could also do pom pom trim on the short sides of the cloth, but I liked the look of it down the long sides only. 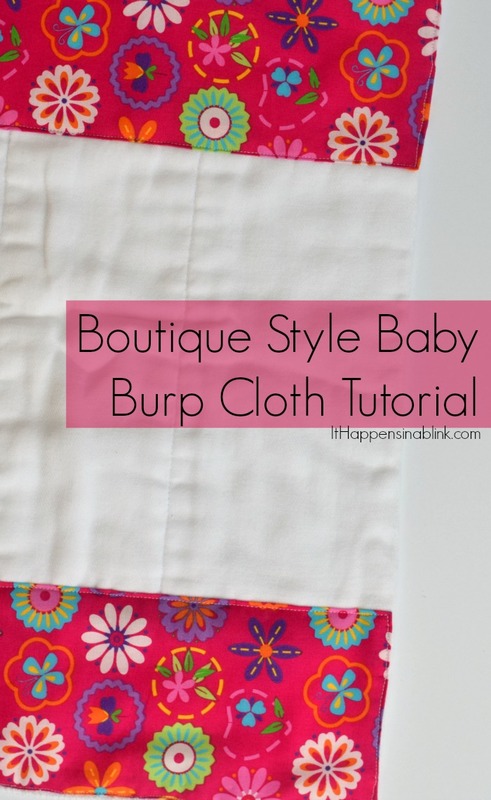 For a burp cloth without the trim and the cotton material styled a little differently, check out last week’s Boutique Style Baby Burp Cloth tutorial.